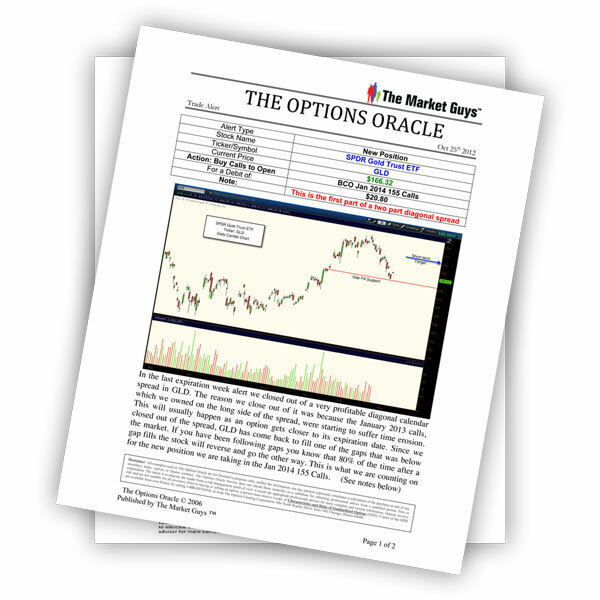 Below is a link that will bring you to the latest trade candidate from The Option Oracle: I’ve also attached a PDF file that outlines the details for this particular trade candidate. Please be sure to review all of the material before entering any trades to your account. 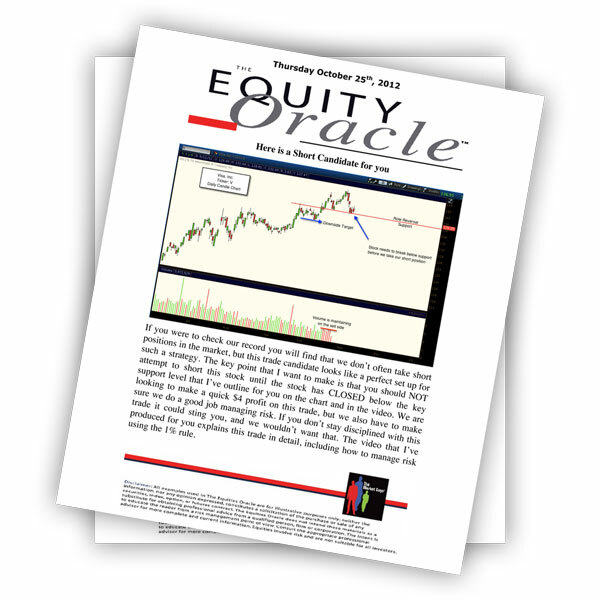 Below is a link that will bring you to the latest trade alert from The Equity Oracle: I’ve also attached a PDF file that outlines this trade candidate along with the trade we placed in DUST last week. Please be sure to review all of the material before entering any trades to your account.